I didn't know that having Venetian themed kitchen accessories was a thing, but apparently it is! Here are some of my favorites I've found during my browsing adventures today. Here's a covered jar shaped like a gondola. It comes with a salt and pepper set too. 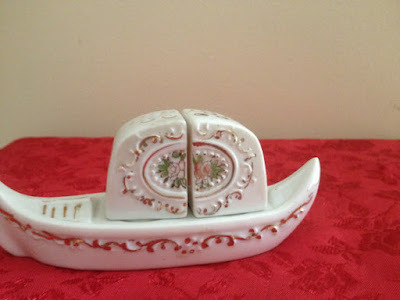 This vintage Lusterware piece was made in Japan. 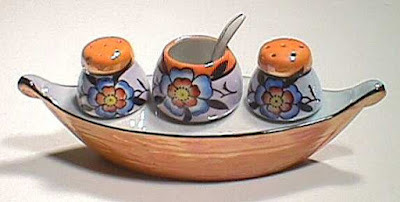 Here's another Lusterware gondola set, with a different floral pattern. 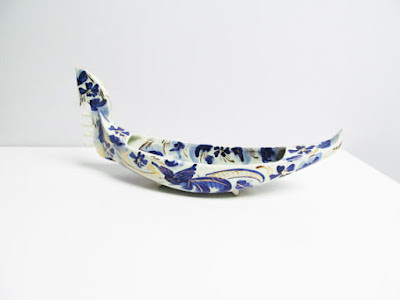 This blue-and-white gondola shaped candy bowl is from the 1950s and apparently was made in Belgium. 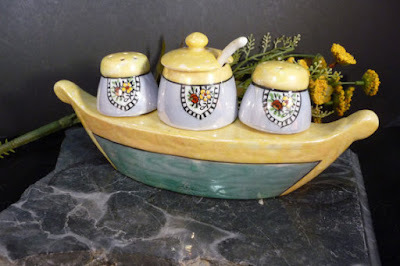 I see several very similar gondola salt and pepper shaker sets on Etsy. This must have been a popular design from Occupied Japan. Now this vintage teapot isn't gondola-shaped, but I love the gondola and Venice design painted on it. 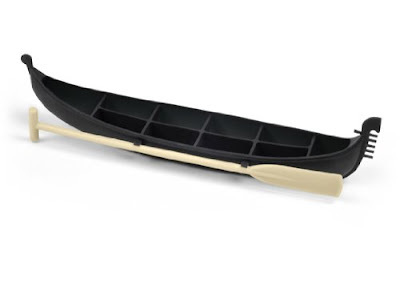 This contemporary gondola ice cube tray is just silly. I love it. It sure would take up a lot of horizontal room in your freezer though! 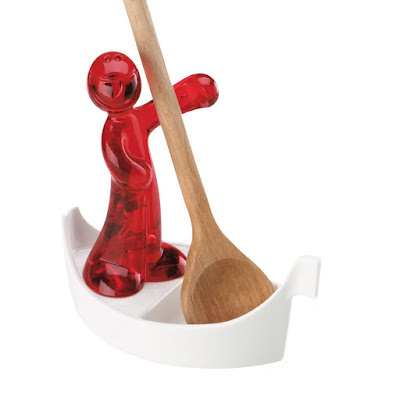 Here's a whimsical gondola-themed spoon rest for your kitchen counter next to your stove. 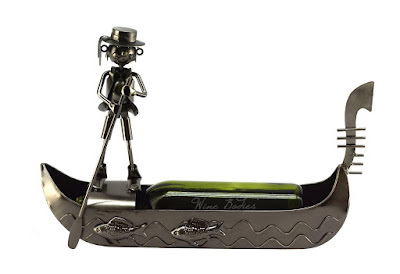 I've never needed to hold or caddy just one bottle of wine, but here's a gondolier and gondola shaped wine caddy that holds one bottle.